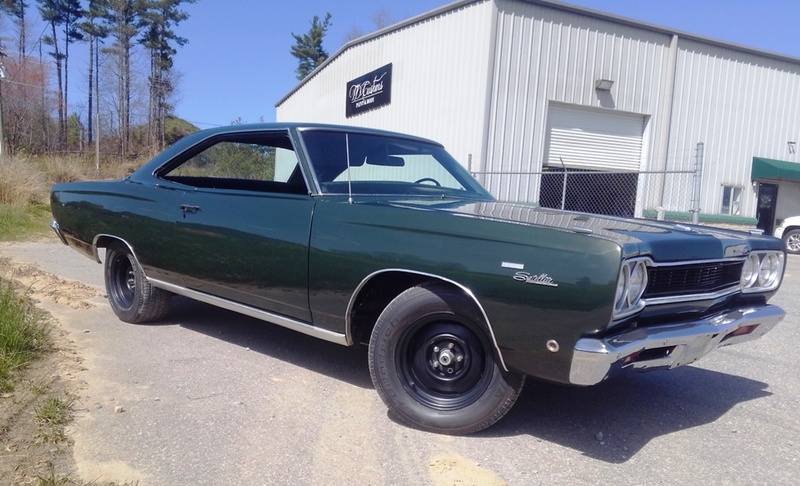 The ’68 Plymouth Satellite classic restoration we just wrapped up needed overall body work and fresh, factory original paint. The body was in moderate condition, but we had to repair a lot of rust. This entails grinding out existing rust, cutting it out, and replacing the old steel with new steel. From there, it gets smoothed over and fitted perfectly into place. We also spent a good amount of time sanding the exterior body to get the panels straight. 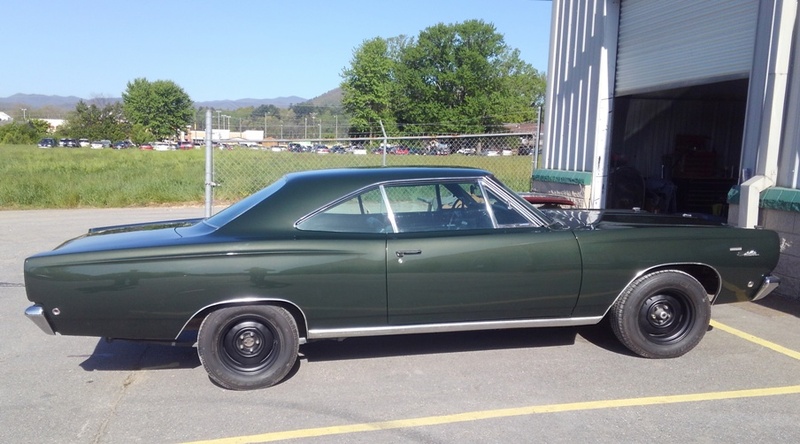 The paint color is the original paint from 1968; a deep green color that looks almost black in the shade. It’s called Dark Forest Green Metallic. The bumpers were a bit rusted, so we had them rechromed. Rechroming really makes a big difference. The parts come back looking brand new, which is only after a very thorough rechroming process. The back bumper came out just as nice as the front. So perfect and shiny now. In the following picture, you can also see the smooth finish on the trunk lid and tops of the back fenders. 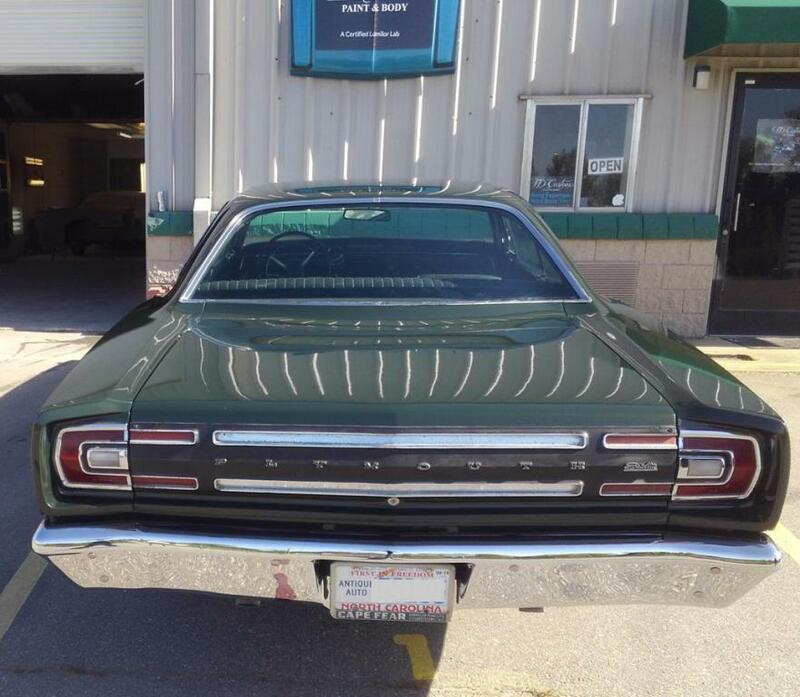 Like with many older cars, we replaced front and rear glass and all the seals. Generally the rubber seals around the glass get rotted out with time and need to be replaced when it’s time for the car to be restored. We didn’t get many in progress pictures for this restoration, but the end product speaks for itself. Darker colors always show off the body lines the most. If you want to paint your vehicle black, for example, know the body has got to be flawless. Any imperfections will show after paint. This one turned out great. The owner is very happy and looking forward to getting it out on the road. While you’re here, make sure you take a look at the Photo Galleries to see pictures of our previous work. If you’d like to read more about other restorations we’ve done, check out the Blog or our Restoration page. 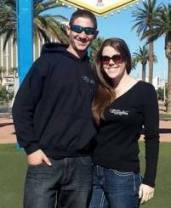 Contact us to discuss your next project with us! 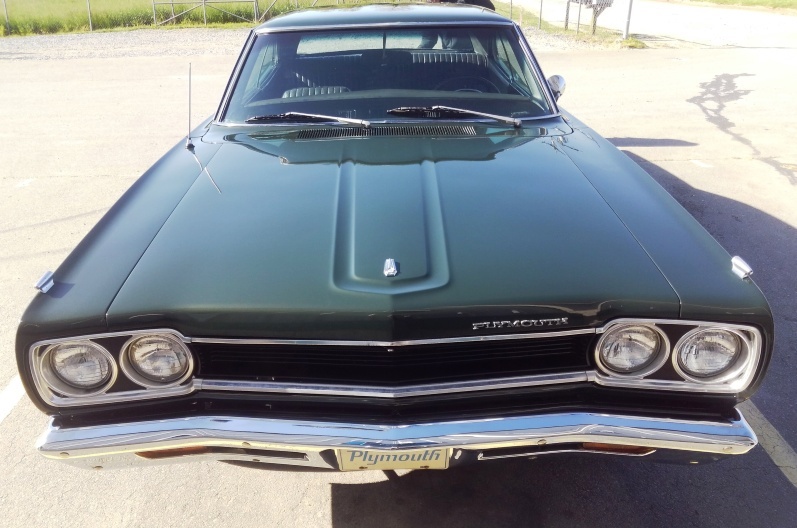 No Replies to "Body Work & Full Paint: '68 Plymouth Satellite"